Imagine knowing every piece of the puzzle. Imagine being able to know, step-by-step, what you need to do to start your digital marketing agency. Get your first clients. And, attract the talent you need. How great would that be? I know how it feels to sit there at the bottom of the mountain. You have no mentor. No guide. And, honestly, no idea what you’re doing. You just turn up every day and hope to god you get one step closer to, well…wherever it is you’re going. But it doesn’t need to be. It is possible to take your digital marketing agency from where you are now – just you, sat in that chair, looking at this screen – to six or even seven figure heights. You just need to know the pillars of success. 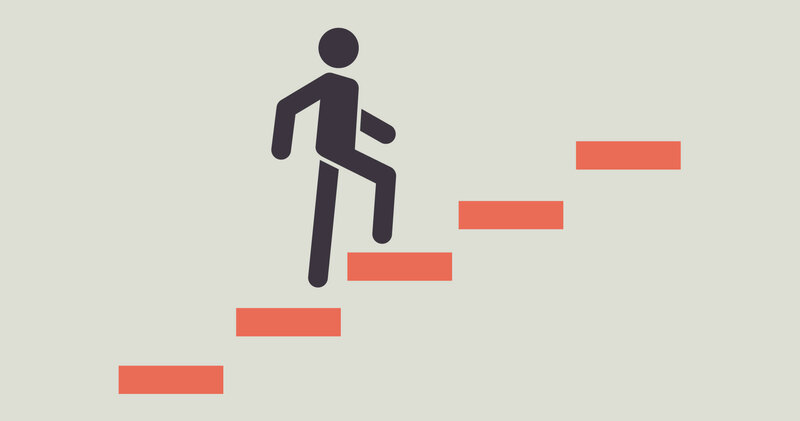 Those simple and easy steps that will take your agency to new heights. And, that’s exactly what I’m going to show you in this article. And, if you click the link below, you can get a complete checklist of these steps. Allowing you to follow all of these steps in real time and move at your own pace. First, let’s talk about who do you want to be? Let’s say you’ve started an agency – we’ll call it SERPed Heroes for now – what’s the finish line for you? What type of clients do you want to work with? How many employees do you want to have? Once you know your end goal you can work backwards and create goals that fit your chosen pathway. You could look at how to reverse engineer that into goals and actionable steps. Specific: Be clear about what you want to do. Replace vague terms like, “be the best in the industry” with “Generate $500,000 in sales from health sector clients”. Measurable: This is answering the question, “How will I know when I’ve achieved it?”. Aspirational: This is normally Achievable, but as research from Locke and Latham found, having aspirational goals here is far more beneficial. Try adding 20-25% onto what you think you can achieve, and you’ll find you’re hitting goals faster than ever. Realistic: By the same token, know what’s in your reach. Landing $500,000 worth of work probably won’t happen in your first year. But, over five years, why the heck not? To land one client in the Health Sector that pays $2000 – $3000 per month by the end of the fourth quarter. You can then start to break that down into specific, actionable, steps, which we’ll look at more in-depth later. This awesome video from Entrepreneur shows you exactly how to do what you’ve just learned in this step. Okay, you’ve just looked at what you want to achieve, now let’s look at who you want to be. That’s all based around this promise. Want a real world example? Take a look at Search Engine Land. What’s their promise? The deliver the latest SEO news and how-tos in short articles that are easy to read. That’s what you expect from them every single time you visit. So if that’s what you’re interested in, you’ll keep coming back as long as they’re keeping it. Don’t get too caught up in your brand identity, either. It’s important, but at the start you need to be responsive to what people want. Maybe there is an aspect of your brand that people resonate more with. Pay attention to the data and adjust accordingly. Check out this video from Dan Martell. He takes you through some simple steps on what branding is, and how to stand out in your marketplace. Capital, Do You Need It? Starting an agency feels like it should be expensive, doesn’t it? That if you’re going to get this business off the ground you’re going to need a lot of investors and money. After all, you need to spend money to make money, right? Firstly, check your ego. A lot of the time you want money because you don’t want to swap your time for free. You want to get paid for everything you’re doing. So, if that’s the reason you think you need extra capital, you definitely don’t. Secondly, six figure businesses have been known to start for as low as $62.50. And, a lot of agencies start off as just a single person, like Mike Ramsey’s Nifty Marketing, and end up as million dollar agencies. He started off by taking clients on a Freelance rate, then growing his agency from there. One step at a time. Until he reached where he could hire someone. That’s those goals, and actionable steps, coming in. There are ways you can cut costs, too. For example, you don’t need every SEO tool under the sun. You could spend $2000 – $3000 a month in recurring costs just from these tools. Half of which, you’ll never even use. Instead choose one or two tools that do everything you need them to do. There’s also the problem that having investors and partners detracts from your ownership of the agency. The more people that are putting money in, or are sharing your company, takes away from what you actually own. You’ll find the most successful agencies are the ones who knuckle down, go independant and turn themselves into a success on their own. This post from Start Up Bro’s documents how you can start a business for under $100, with advice from experts in lots of different fields. It’s worth a read if you really need to bootstrap to start. Business Plans are hard to make in the world today. Damn, just take a look at how often Google updates itself, as well as all the channels you use to market yourself. A five year business plan which used to be easy to implement in the 80’s. 90’s and early 2000’s is almost impossible nowadays. As I type this, for example, millions of people are sending Snapchat’s that didn’t even exist five years ago. So why the hell would you be able to predict, and plan, what you’re going to do with your Agency every minute, of every day, for the next five years? Instead, once you have your reverse engineered goal, you should look at actionable steps that can help you achieve those goals for this year and into next year (at a push). It stays flexible and is easy to adjust to what happens along the way. Which, as you saw earlier, is important in today’s SEO environment. You need to know what you want to achieve – that’s the business plan – but you need to remain open, and not rigid, against change. 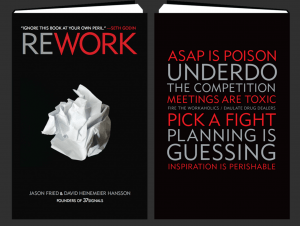 I’d recommend you go out and pick up a copy of the book, Rework, by the founders of 37Signals It’s one of the most forward-thinking books on starting your agency. Expertise – Who Do You Need? One person trying to do everything. Why does it kill them? Simple. You’re just not good at everything. Don’t fight it, it’s a good thing. If you’re the SEO Guy you’re probably not that savvy with sales techniques, business management, finding clients or networking with people at conferences. If you’re the Business Guy you’re probably not good at keeping up to date with Google Updates, Backlinking Strategies, understanding what SERP’s are or knowing that a Panda update isn’t the local Zoo adding more animals. You may have some skills that crossover, but being good at all of these is beyond you. Especially in practical application. Before you launch into becoming an Agency you need to find out what your – or your current team’s – strengths and weaknesses are. Then decide if you need to hire someone, or bring someone in as a partner, accordingly. If your head is full or Algorithms, maybe you’re going to need to pull your MBA Student Buddy in to come and help you set up. If you want to start an Agency and don’t care about learning in the trenches SEO, you’re going to have to find someone who is. This is a highly personal subject, so I won’t tell you what to do or who you are, it’s up to you to be honest and find where you’re strongest and weakest and build accordingly. Self awareness is one of the key components for success. Because once you know who you are, you know who you can hire to cover your weaknesses. Where can you add value to someone that your competitors can’t? Create content only for a specific niche? Do you generate reports differently? Do you have a tried and tested strategy (with results)? Are you exclusive to clients over a certain budget? Do you focus on X, Y or Z that nobody else cares about? Knowing this – and how it resonates with your potential clients – can help set you apart and make customers more attracted to you in the long run. Fizzle wrote an evergreen guide to finding your Unique Selling Point. It’s stood the test of time and is super easy to wrap your head around. You’re at risk of becoming just another SEO Agency. As I type this, in a coffee shop in Manchester, England, I’m within walking distance of at least 10 different digital marketing agencies. And these are just the ones I know about. So, on top of adding a different level of value, you also need to separate yourself from the competition. The best way to do this is content. There are hundreds, maybe thousands, of SEO Blogs, Twitter feeds and Facebook pages trying to get themselves heard. But most of them are creating the same content over and over and over again. What can you do differently? Do you run experiments on your blog? Do you expose claims from other SEOs? Do you have a YouTube Channel where you try challenges? Do you interview people about the SEO challenges? Do you hack the strategies of Google’s top ranking competitors? Do you find back-doors where small businesses can outrank the Fortune 500? The Skyscraper method may be effective. But, it’s the strategy everyone is using right now. If you want to make a splash and get your Agency noticed you need to do the opposite of what your competition is doing right now. Actions have, and always will, speak louder than words. Your portfolio is unique to your agency. Your brand, your style of work, it all needs to become part of the portfolio. This next guide is designer for people looking to be hired and what should be in their creative portfolio. It’s aimed at freelancers, but the lessons carry across to agencies looking for clients too. You read about Capital earlier and whether you need it or not. But you should always have a budget for self development. You already know that you can’t be good at everything. However there are parts of your business you need to get better at if you’re just starting out. It could be brushing up on your SEO skills; it could be learning how to generate leads; it could be sales; it could be people management or whatever it is that goes with your business. You can find courses on almost everything on Udemy, or you can take a stroll down to your local bookstore. But having a budget to invest in yourself, or your team, is paramount to grow further. Hongkiat put together an great list of Udemy courses for Budding Entrepreneurs. You don’t have to take them, but one can’t hurt, right? Working in the Internet Industry it’s normal to focus all of your: networking, lead generation and content efforts on the online world. But by doing that you’re missing out on the easiest way to build your business at the start. Because, while you’re searching for hard to access leads on the Internet, you’re driving past hundreds of easy to access leads on your way to work. And, just because they’re local businesses, doesn’t mean they don’t have a big budget. Don’t go straight into the sell. Don’t be there to make money. Be there to get to know people, talk to them and become a long term part of that community. That’s when you’ll start to see real sales. At least, they don’t care – even a little bit – about the technical Jargon that you love to use. Because it doesn’t mean anything to them. So, don’t try and sound smart or intimidating by using it. You may not think it, but this is a technique a lot of SEO’s employ to get clients. I found this site, Health+Care, which is a medical conference in the UK. Now with the company you’ve found, and I’m going to do it with you, I want you to figure out what their dream situation would be. If everything in their life would go to plan, what would happen? To have a completely sold out conference of the UK’s best health professionals. They’d have completely subscribed exhibition lists and attract the most important speakers from around the world, as well as the attention of pharmaceutical companies. And, once you have that, you can flip it on it’s head; what’s the worst situation they could find themselves in? To host an event that is undersubscribed, costs more money to run than it makes, doesn’t get any media or professional attention. Not having enough funds to run another conference, and going out of business. Remember, stop what you’re doing and make these notes for the page you’ve found right now. Because once you know these dreams and fears you can begin to frame your SEO – both for sales pitches and for showing results – in a way they understand. Now they’re methods a business owner can get behind. Learning to separate features and benefits is a key skill to learn. So, there are two tools you need for this step. The first is this post from Copyblogger that asks, “Does your content pass the forehead slap test?”, and shows you how to extract benefits from features. The second I’d recommend is to buy this book from Andy Maslen called, Write To Sell. It’s the best book on copywriting I’ve ever read and makes all of your writing much better. It taught me everything I know about keeping it simple. Sometimes it feels like you’re looking down the barrel of a big dollar shaped shotgun, doesn’t it? Yet, with the right mindset, you can find ways to do all of this cheaply. Look at using sites like UpWork to build a team of Customer Service reps that can work for $5-7 dollars an hour. Or, look for different hacks and methods to get Facebook Ads down to 1c per click (or like these guys who got $0.0005 per engagement). Entrepreneur put together an awesome resource of 50 ways to save money in your business. Bookmark it and look for how you can take a chainsaw to your business expenditure. Meet all of your potential clients in person. That’s right, meet every single one of them in person. Because that’s how you start to forge relationships that last. In an online industry that sounds against the grain. You should be able to just send out emails, catch people on social media – or through Facebook Ads – and drive a tonne of clients your way. But, that’s not the way it works, at least not until you’re an established SEO agency with a track record. This is the most overlooked method of getting new clients in our entire industry. Many SEO agencies fail on this pillar alone. Because when someone can look you in the eye, feel like they know you and get to like you, they want to spend money with you over someone they don’t know. You and I both know all of these businesses you interact with – either in the next six months or the next six years – will need SEO services. You just have to be the person the person that was friends with them before they realised it. 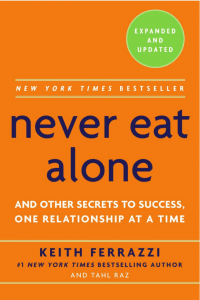 Kieth Ferrazzi wrote possibly the best book on networking when he penned, Never Eat Alone. It’s easy to read and really easy to implement. Don’t treat that point like the hard sell though. Once they say they don’t need your services, don’t fall off the face of the earth, like when a guy or girl at the bar tells you they’re not interested right now. Keep in touch. Check in. Ask the questions. Find out how their kids soccer practice is going. Take an interest in them as a friend. Just because they don’t need your services doesn’t mean that they don’t know someone who does. Who better to refer than their new SEO friend? Hubspot put together a great guide on lead nurturing and keeping people in your funnel. Want to know why people are skeptical about your SEO agency? It’s because there are thousands of horror stories on the internet about how an agency took a company, spammed the hell out of them, took their money and left them to deal with the ruins of what was their website. The number one way to stand out in SEO right now – and this is the best marketing principle you can employ – is to show you care about your customers. That has to show through in your content. In your tweets and facebook updates and emails to clients and anything they can possibly come into contact with. The intimidation of SEO algorithms doesn’t work any more. The black hat approach to getting clients has overstayed it’s welcome. The way to create an SEO agency now is to create one that cares. If you’re starting from the ground up as a one person agency, it can feel more comfortable to charge $40-$60 an hour, or to take on clients for $300-$400 a month, because you can still make a great living doing it that way. But, if you want more from your business, you can’t stay that way. Take a look at the Nifty Marketing example again, when he upped his prices to a minimum $100 per hour, he noticed he started generating more interest, attracting better clients, making more money and growing faster. Because he started attracting the right people for his agency. Instead of looking it as pricing clients out you need to look at it as pricing the wrong clients out. Because if you keep taking jobs at the lower rate, you’ll find yourself overworked and underpaid compared to where you want to be. For some additional reading, you can check out this guide from HubSpot on, When Should Your Agency Hire Its Next Employee? Sales is the bottom line for you. I’m yet to meet a successful agency owner that couldn’t sell their services. Like all things in business you can either spend time doing something, or spend money getting someone to do it. The choice is yours. Now become a salesperson isn’t an overnight strategy. It takes time, and practice, and dealing with rejection. But you have to know how to do it. Communication: How good are your communication skills? Product knowledge: How well do you know what you do? Emotion: How well do you transfer emotion from what you do, to what they want? Relationships: How well do you create, and nurture, relationships with people? These are just a handful of the components. And, as I spoke about way back at the start of the article, it comes down to being self aware enough to know what you can (and can’t) do. This is by far the best video I’ve found online about sales. It comes from seasoned professionals, and it’s actionable straight away. Everything your agency does, at any point, track it. Firstly, understanding the data allows you to adjust and grow your business based on what works. Being able to develop a strategy is of an importance I really can’t stress enough. Secondly, it can become the portfolio piece that lands you a new client. There’s nothing worse when you’re pitching than not being able to demonstrate your value with real results. The best data tracking and management software I know about is Platform.ly. They’re waiting-list only, but once you’re in, you can automate all of this stage. 12 Best Tools For Budgeting by Inc.
Do you know how many conversations I’ve had with people about the importance of letterheads and signatures? From the beginning decide what’s important for your business. Decide what is going to get you the biggest return on investment and grow your Agency. Once you have paying clients you can worry about your logo and a mascot for your blog. Check out this article from Brian Tracy that gives you the five key questions you need to ask to set your business priorities. Pay attention to your client’s behaviours – both potential and current – and see what works well when you interact with them, and what falls on deaf ears. Found a particular email, pitch, phone call or product is getting the most attention? Adjust and act on it. Don’t worry about vanity metrics – like traffic and likes on Facebook – instead look at what converts and drill down to get even more from it. This little known article on LinkedIn is a real gem for understanding client behaviour. Especially as it pertains to sales. Double win. I’m allowed one that doesn’t fit exactly, right? Always looks for new ways to market and grow yourself. Innovate. Try new techniques and use new tools to see what gets results for you and your clients. Do something to get you out of the old SEO mould and innovate on the old things you’ve done. Just because nobody is doing it now doesn’t mean it should be done. Be proud of what your agency doesn’t do as well as what you do, do. If you try and offer everything you’ll find yourself at the careers office with all of the other Agency owners who tried to be a people pleaser. Don’t take on clients in a specific industry? Be proud of it. Refuse to work for less than $50 an hour? Be proud of it. Don’t work on Sundays? Be proud of it. Just read this post. Go ahead and read it. What you don’t do is as endearing to a potential client as what you can do. Instead of worrying about what someone else is doing, focus on what you should be doing. This is your chance to make your mark. Stop worrying what everyone else is doing and think about what you need to do to get better. Watch this episode of the #AskGaryVee show from about 1:00 inwards until he stops talking about ignoring your competition. It’s a brilliant twist on the old strategy. And, one I personally employ. Phew! Here you are. You made it right to the end. 4 Capital, Do You Need It? 6 Expertise – Who Do You Need?